Hi friends! It's Sunday and that means time for a new challenge at The Paper Players! Joanne is our hostess with the mostess this week, and has a clean and simple challenge for us: Get Coloring! Over the last few years I've acquired quite a few adult coloring books, and this was the perfect opportunity to put them to use. I took a page from the Secret Garden Coloring Book by Joanna Botsford, though I must admit I felt a little guilty cutting up her beautiful artwork. I was able to get four card fronts from one page, using both sides, and some pieces leftover for other creations. Though this isn't as clean as I'd usually like for a CAS challenge, it certainly was simple. I just cut out my card front, colored it with Copics and colored pencils, and added a simple sentiment. A few enamel dots, and zip-zip it is done. It was lots of fun to color, too! I must remember this. You have made four unique cards from one page of gorgeous coloring. 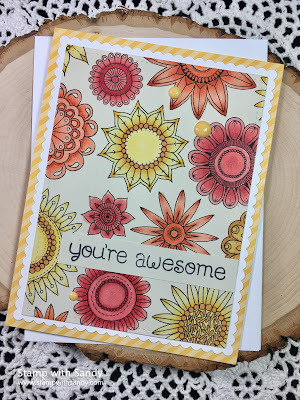 So pretty Sandy - I love your bright and sunny card! I love to use my colouring books in this way too - so nice to share your finished results with others too. You are a colouring queen! 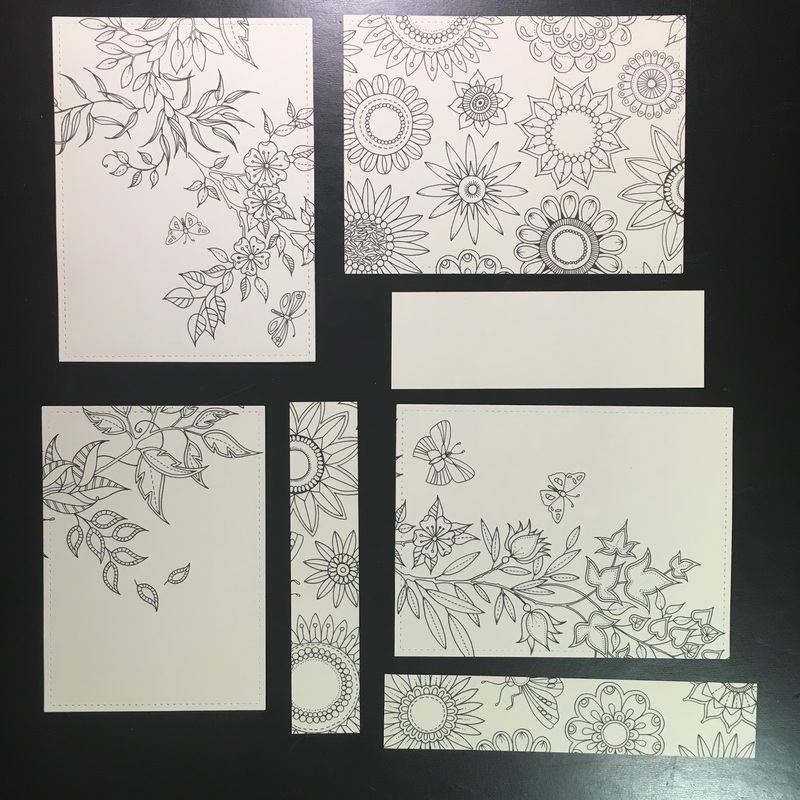 Great idea to cut up a coloring page Sandy! Such a pretty card, and I love how you framed it with the scallops and striped paper. Ooooh, this is pretty Sandy! Great idea to cut up a coloring book. Your shading is perfect on the flowers and I love your color choices. Fabulous card! What a fabulous idea for using the colouring books! I'd been wondering where you'd got the paper or stamps from. Glorious colourway you've chosen too. It's yet another of your wonderful creations! It's just stunning! At least you were able to use ALL those pretty pieces for other cards!! Resourceful as well as pretty! 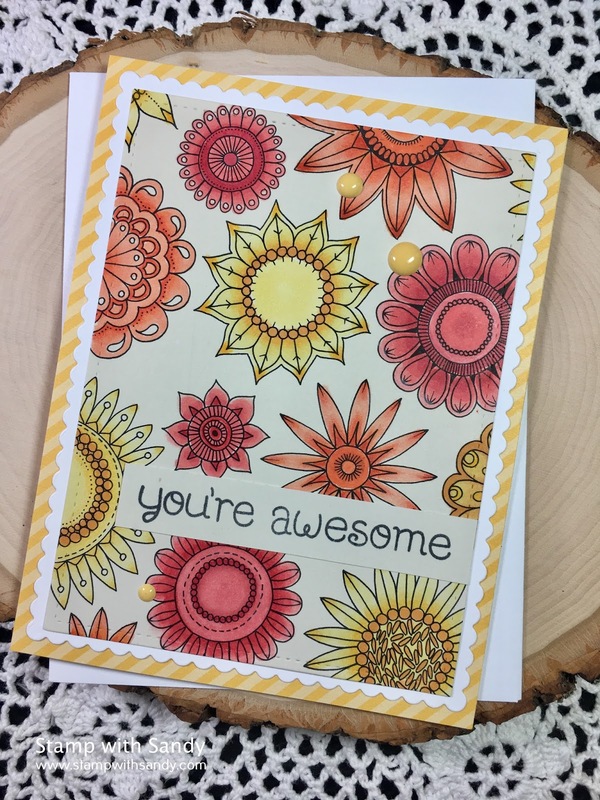 Love that you turned the pages into cards! Gorgeous! PS: I will have to take a peak at who makes my lamps when I get home.